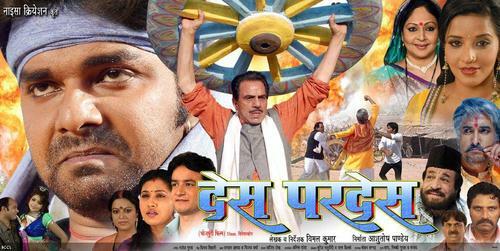 Desh Pardesh is a Bhojpuri film released on 8th Nov 2013. This film is directed by Vimal Kumar and produced by Ashutosh Pandey. Film Desh Pardesh is full of actions. Pawan Singh and Monalisa are lead roles.